Get yours from our Tindie store! 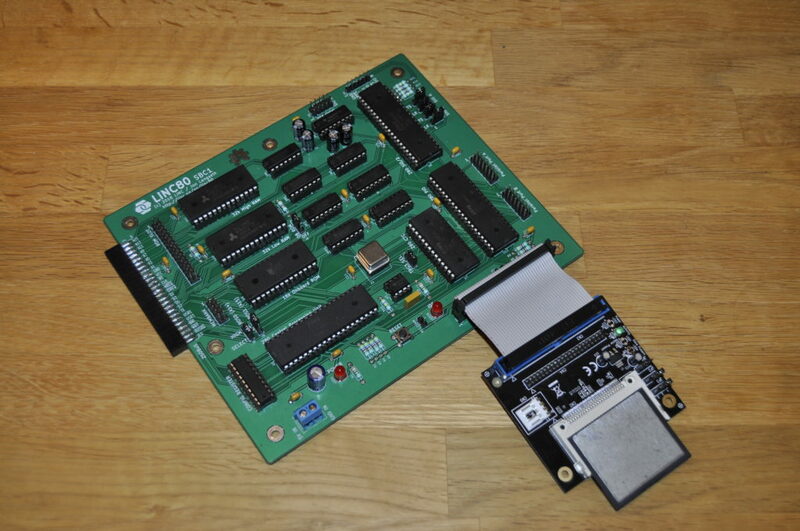 PCB layout of this microcomputer kit is designed with a physically open layout to avoid having to struggle with tight component placements, making assembly simple. It also uses only through-hole components, and all parts used are in current production (as of 2018). Connections to the board are all done using standard pin headers on 2.54mm pitch, except for the included power connector witch is a screw termnal block on 5.08mm spacing. This computer does not have built in graphics. Like the earliest microcomputers, interaction is normally done using the on-board serial ports, hooked up to a serial terminal. One very convenient way of talking to the LiNC80 is by using a so-called “FTDI cable”, connected to the TTL compatible serial port of the LiNC80 on one end, and a USB port on a modern computer of your choice on the other. The included crystal oscillator will run the CPU clock at 7.3728 MHz. This is a slight underclocking of the 8MHz-rated Z84C0008 CPU. This clock speed was chosen to provide a reliable CPU-clock driven serial port speed of 115200 bps on the TTL-compatible serial port SIOB in the standard configuration. Should you desire to run your LiNC80 at a different CPU clock speed, simply replace the HCMOS crystal oscillator. If you compile your own ROM software, you can also choose what serial data rate to use, by using the on-board Counter/Timer Circuit (Z84C3008).